One of my goals for the next year is to learn the basics of 3D modeling. I am exposed to a lot of 3D concepts because of my job, reviewing sculpts and toys at the studio, but I don’t have a sculpting background or knowledge of any of the 3D modeling software that’s out there. With the nudging of Chris, I started taking this class Intro to 3D with Maya. Our project for the year is to create a simple object, made of multiple parts and render HD photos such that it looks indistinguishable from the real-world item. 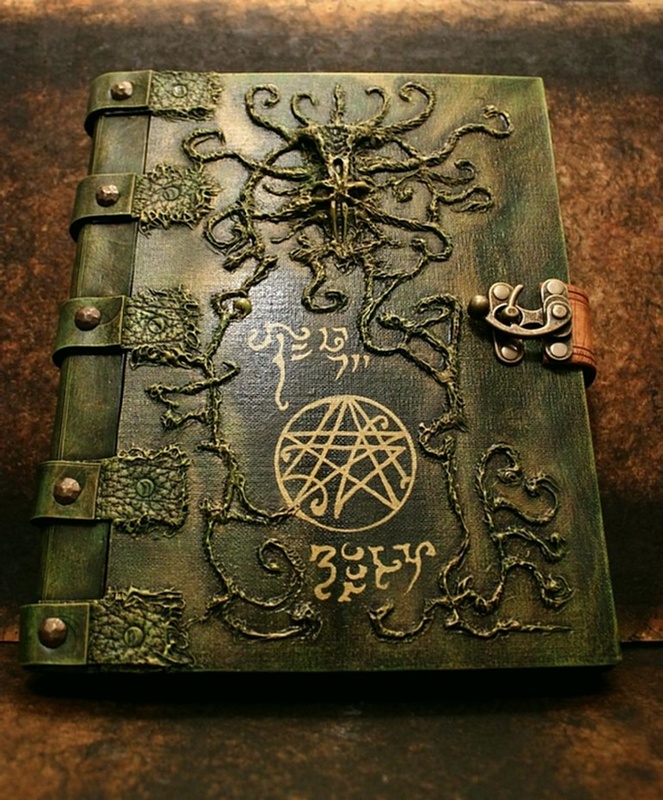 I decided to make some kind of ancient tome, a la Necronomicon, sort of like the image here. Our assignment this week is to block out the basic shapes with polygons. It’s been an okay learning process so far. There’s a lot of complexity in Maya that I’m not even aware of yet, but so far getting the hang of just tumbling around the space and creating shapes, moving them around, etc. Interesting fact of the week: camera manipulation to move around the object and space uses the same terms as used in cinematic directing. So if you already know dolly, track, tumble, frame, you are set! This is what I have so far. Week 3 class is tonight so we’ll see what kind of feedback I get.